Parking on the street in West Hollywood will cost a third more with the City Council’s passage last night of a variety of changes in city fees. 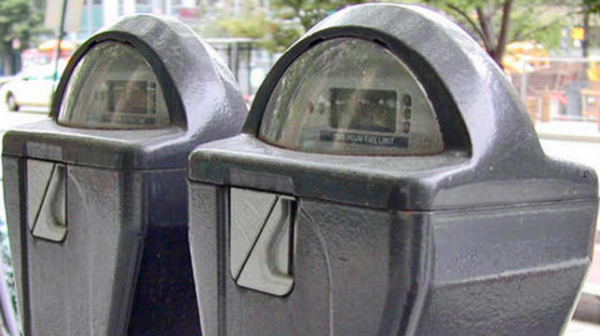 Parking at a street meter now costs $1.50 an hour. That price will rise to $2 an hour beginning July 1. The increase is expected to raise $1.78 million, which the city will use to increase sidewalk cleaning and security in commercial areas. The proposal to use the fee increase revenue to improve sidewalk cleaning and security got the support of a number of area residents and also Ben Reiss, the manager of the city’s Sunset Boulevard and Design District business improvement districts, and Genevieve Morrill, CEO of the city’s Chamber of Commerce. All five Council members voted for the fee changes. However, while Councilmember Lauren Meister said she supported the plan to increase sidewalk cleaning and security she said she was concerned that the fee hike would intimidate visitors. Meister asked that City Hall review parking meter pricing plans in other cities, citing Redondo Beach. She also asked the city to consider two levels of pricing for fines for violating parking meter time limits – a lower fine if the violation is no more than 10 minutes and a higher fine if it is more than 10 minutes. Currently the fine if $53 for exceeding the time one pays for at a meter. WeHo Parking Meter Rates to Climb 33% on July 1 – WEHOville.